Ladies! Check out these awesome yet simple mehandi designs for your hands to celebrate the festivities of Teej! With just a few days left to Teej, are you all set for the three-day extravaganza? Have you ordered your ghewar boxes, picked up green bangles and sorted your outfit? Oh! 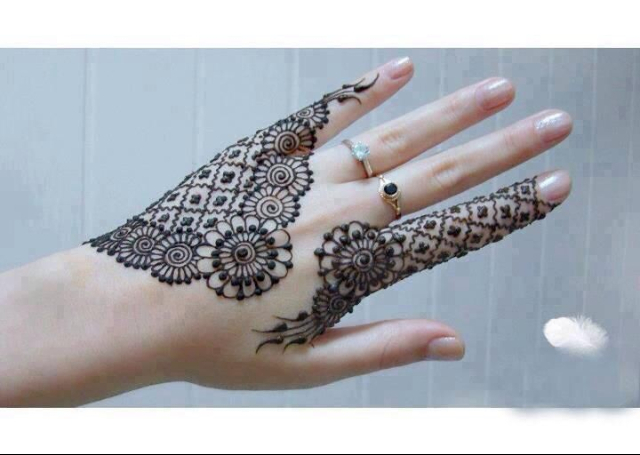 Not to forget, have you zeroed in on a mehandi design for yourself? So what do you prefer, a simple design or a more elaborate one? If you love minimalistic designs and would rather prefer the former, then the following post is for you. Zuri has hand-picked 20 simple yet spectacular designs for you to sport this Teej. It has been a long-standing tradition for all married women in India, to adorn their hands and feet with mehandi for all auspicious occasions. It is said to bring good luck, especially for a happy married life. It is part of one of the 7 shringars of a married woman. And Teej being a festival where married women observe a three-day fast, praying to Lord Shiva and Parvati for marital bliss, applying mehandi is almost sacred to the festival. 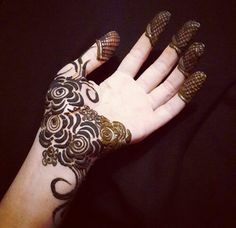 But for those of you who want to skip the tedious job of sitting two hours and getting an intricate mehandi done, we’ve got some fabulous ideas for you that are simple, yet dainty. Have a look, and choose one for yourself. 1. 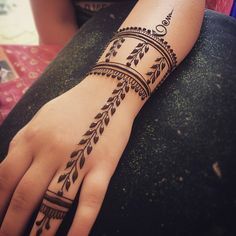 Grapevine design: The grapevine design is the most popular as far as simple mehandi designs are concerned. It basically runs down from the fore finger, ending all the way uptil the wrist, resembling a grapevine, and hence the name. 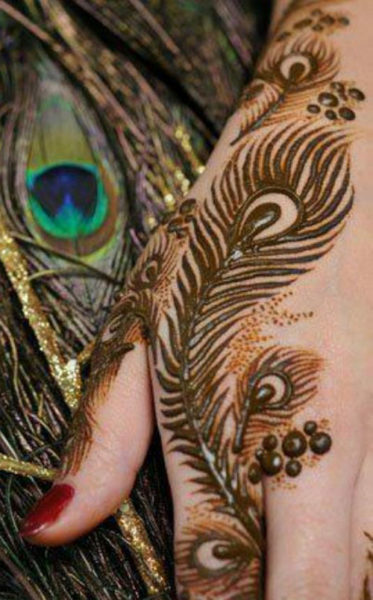 It mostly follows the Arabian style of mehandi application. 2. 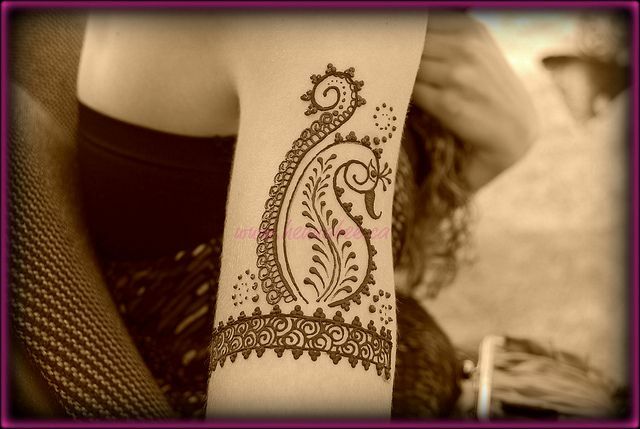 Bombay style: Another mehandi style, that has become a rage these days is the Bombay style mehandi. Artists from the city have given the traditional mehandi a contemporary twist, giving it a more modern yet elegant look. 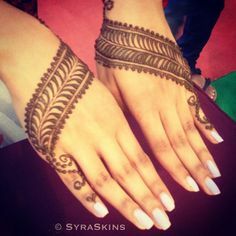 Most designs focus on the center of the palm and the fingers, rather than covering the full hand, making it another great option for a simple mehandi design. 3. 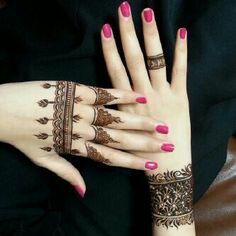 Mehandi to resemble jewelry: Go for an intricate mehandi design to resemble a haath phool (on the back side of your hand), or a baazubandh (on your arm) or maybe even a bangle (on your wrist). These designs are minimalistic, chic and are really popular with the younger lot. So try one of these simple yet exquisite designs this Teej and do get back to us with pictures.